We are providing animated glitter images Shubho Bijoya.Shubho Bijoya is an occasion of tremendous joy and happiness. Sisir bheja bhorer batash ar jholmole rod niye elo khushir amej o pujor anondo. Pujo katuk shobar hullor, adda r pujo porikromar anonde. Debir agomone tomar jibon hoye uthuk shundor. Durga Pujor antorik shuvechha janai. The term Bijoya , literally means Victory and Shubho Bijoya means "The Auspicious Victory". 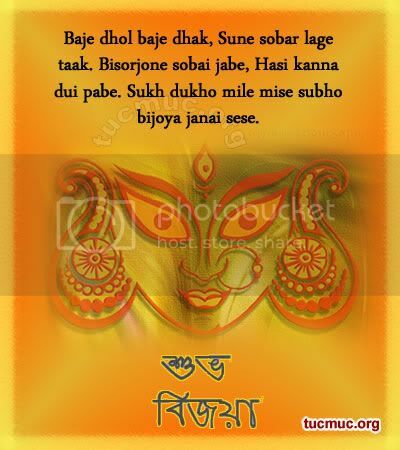 Shubo Bijoya is celebrated from the last day of Durga Puja, i.e., Vijaya Dashami to Kali Puja (Diwali).